Read about my travel guide before going to Singapore here and Singapore fun facts. With Sentosa island is full of resorts and activities. It’s really is depending on how much fun you plan on having, it can be explored in less than a couple of days. 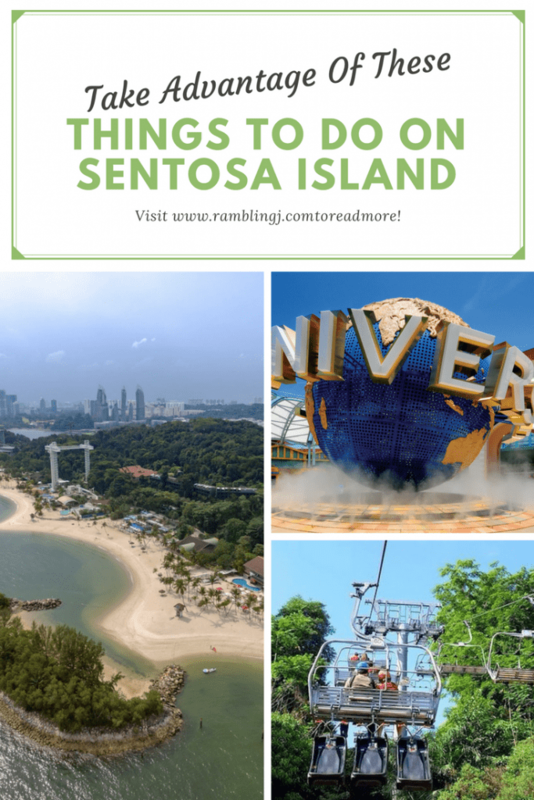 Here are a few things to do on Sentosa island. 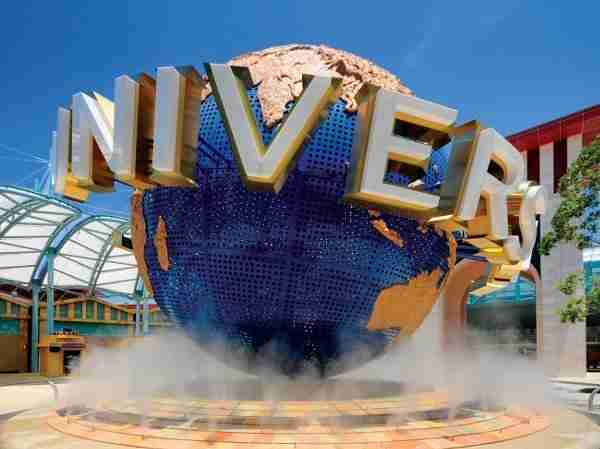 The Singapore Universal Studios movie theme park is the first of its kind in Southeast Asia. This is definitely one of the more popular things to do on Sentosa island Singapore. At Adventure Cove Waterpark, you can take high-speed water slides, laze the day away drifting on a lazy river, snorkel with 20,000 tropical fish over a colourful reef, wade among rays and even come face to face with sharks! The S.E.A. Aquarium is home to more than 100,000 marine animals of over 800 species, across 49 different habitats. Ticket prices for Adult (Age 13 – 59) – SGD39 and Child (Age 4 – 12) – SGD29. S.E.A Aquarium is an interesting place to visit and checkout the all the marine life through the world’s largest acrylic panel. The Skyline Luge Sentosa is the first of its kind in Southeast Asia. This attraction offers 2 unique rides, the Luge and Skyride. Ticket prices start form SGD14.50. Luge uses gravity to create an adrenaline pumping ride. The luge vehicle has a distinct steering and braking system that propels you to race down two trails – the Dragon Trail (688 meters long) and the Jungle trail (628 meters long). 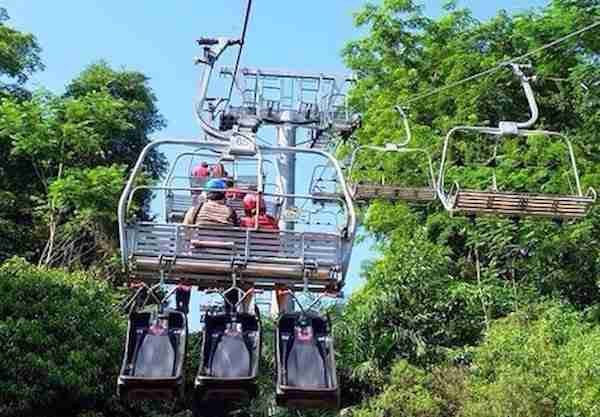 The ride is available to do at night, that provides a bird’s eye view of the famous Singapore Skyline, the South China Sea and Sentosa Island itself. Madame Tussauds can also be found on Sentosa Island. There is 8 well-themed interactive zones and a new ride called “Spirit of Singapore”, which is the first Madame Tussaud’s boat attraction that brings guests to a wonderful lush tropical garden. Another popular activity that on most lists of things to do on Sentosa island. Sentosa has three beaches: Palawan, Siloso, and Tanjong. Generally speaking, Palawan is geared towards families whereas Tanjong and Siloso are popular with young people looking for a secluded spot or to party in the beach bars. Sentosa Island has hotels and resorts but is not the cheapest place to get accommodation. 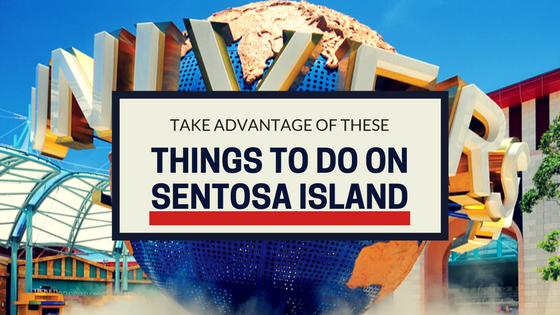 Here are a few places to check out and give you an idea of what is available on Sentosa Island if you are planning to visit Sentosa Island in Singapore. This property is 3 minutes walk from the beach. Just a 3-minute walk to Palawan Beach, and boasting panoramic views of the South China Sea, Amara Sanctuary Resort is located on tropical Sentosa Island in Southern Singapore. Boasting stylish wooden furnishings and large windows, air-conditioned rooms at Amara Sanctuary are equipped with Smart TVs that include built-in WiFi, media streaming functions and pre-installed media programs. This property is 5 minutes walk from the beach. Dating back to the 1940s, the property’s Heritage Wing has been fully-restored by architectural firm, DP Architects. This smoke-free hotel boasts an outdoor infinity pool and a fully-equipped fitness centre. 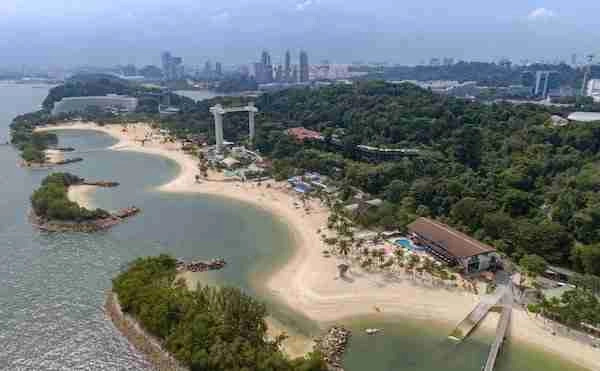 Finally, once you visit Sentosa Island, you will have plenty of options to visit, explore, discover and with many more things to do on Sentosa Island. Perhaps, you can explore in your own way when you get there. All you have to do is to choose the activities you prefer and start enjoying what Sentosa Island has to offer. And that’s it for now! I’d love to know if this guide on the things to do on Sentosa Island Singapore has helped you. Let me know if you have any questions and let me know if you go too.